In this 8 week class, held in Winnipeg, Manitoba, we will play with various forms of creative writing (journal writing, poetry, personal essay, etc. ), and learn new skills in engaging both our right and left brains in our writing practices. We will stretch ourselves creatively & personally, dig into our stories, learn new things about who we are, and have fun in the process. We will walk away with deeper understanding of ourselves and new creative thinking & writing skills. Instead of working on mastering the craft of creative writing (though there is some of that involved) or learning how to get your work published (though this may help you get closer to that), this class focuses more on the way that creative writing can support your journey of self-discovery and personal growth. You will learn things in this class about yourself that may surprise you, and you will explore the words that help you articulate your authentic self. There is an element of intimacy and friendship in this class that may be different from other creative writing classes. Though you will never be pressured to share something you’re not ready to share, the depth of personal exploration that goes on among the participants always results in a compassionate community where your stories are safe and valued. Heather Plett was born with a pen in her hand. Writing is her therapy, her creative expression, and her spiritual practice. She has multiple publishing credits for poetry, articles, and personal essays, and has recently completed a memoir about grief, transformation, and personal growth after giving birth to a stillborn son. In 2009, she was named Manitoba Communicator of the Year. 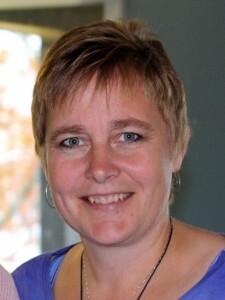 She teaches business & PR writing at U of W, and also serves as a creative leadership coach and retreat facilitator. Read more here. The next session is yet to be announced. Add your name to the mailing list below to be notified of when registration opens.